For many years walkers have headed to Western Australia to tackle the famous Bibbulman, a 965 kilometre long distance track. But now, for those of us with more modest ambitions, there is the coastal Cape to Cape, a 135 kilometre walk from Cape Naturaliste in the north to Cape Leeuwin in the south. This is an outstanding walk, renowned for its coastal scenery, wildflower displays, remote and wild surf beaches and maritime history. It follows a reasonably pristine cliffed coastline interspersed with headlands, long stretches of beach and backed by dune topography. For added variety there are several inland loops, including a welcome diversion into the Boranup Karri Forest. But before you rush off on that cheap five hour red-eye flight to Perth, prospective walkers need to understand that the Cape to Cape is not a push-over. Our experience was of lengthy trudges through soft soupy sand; the weather was decidedly fickle during our autumn walk while high summer and the depths of winter would be best avoided; on our three warmish days (up to 30°C) with no cooling sea breezes, the exposure on beaches, dunes and cliff tops was pretty intense. On the plus side, the scenery is varied and spectacular; if you have a modicum of interest in natural history, this is the place to be, one of the earth’s 34 bio- hotspots. Usually, cool on-shore breezes make for comfortable walking. With some careful planning it is possible to mix comfortable overnight stops in small coastal villages with the hikers’ campsites. The track is well marked and a comprehensive guidebook is available. 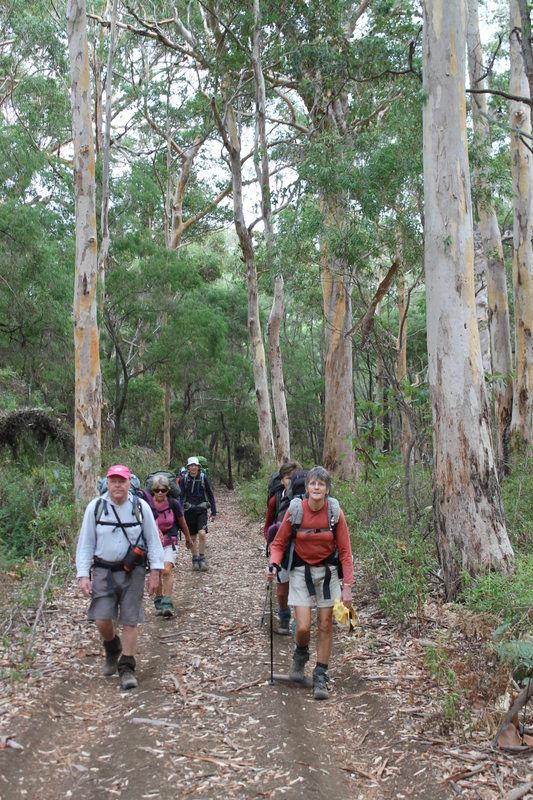 Sunday: The Warm Up: Cape Naturaliste back to Dunsborough YHA via Meelup Track: 16 kms. Perth- based son Dave and daughter-in-law Steph dropped our contingent, Brian, Sam, David, Lyn, Sally, Di and this scribe/ leader at Cape Naturaliste lighthouse in time for a walk around the Cape and the obligatory tour of the lighthouse. 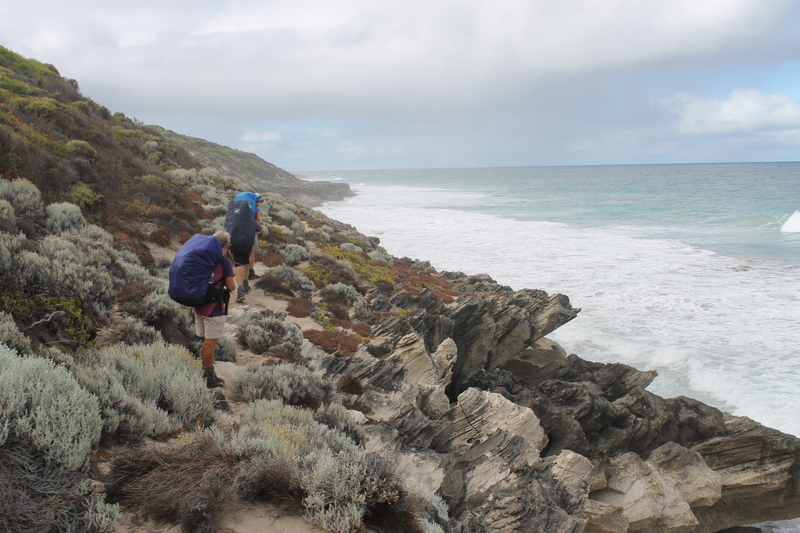 But by mid morning it was off on the shake-down walk back to Dunsborough YHA following the coastline. A wake-up call that we shouldn’t take this walk too lightly. The scenery was, indeed, outstanding: the blue seas of Geographe Bay, red gneiss outcrops, limestone cliffs and long white beaches. Even a few seals spotted by Lyn “Hawkeye” Hewitt. Lyn, I discovered, has outstanding distance vision. Just the ticket for spotting our dolphins, seals, sharks, elusive whales, shore birds and obscure track markers. Although only 25°C max today, it seemed much hotter along beaches and clifftops. In fact, by midday, we were definitely hanging out for any modicum of shade for our lunch break. Even happier, when late in the afternoon Dave and Steph intercepted us shambling along the never ending Dunsborough foreshore walk. Out came a six pack of the local Eagle Bay ale. Cheers Dave ‘n Steph. 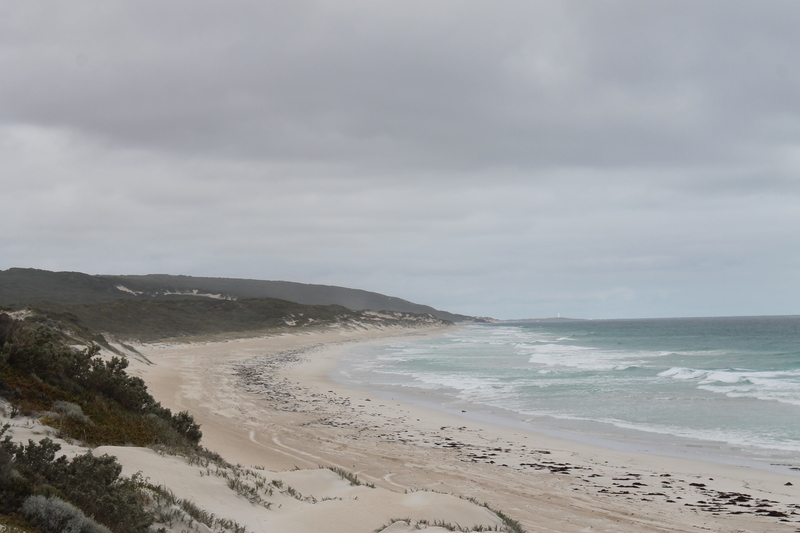 Monday: Cape Naturaliste to Yallingup: 14.2 kms. A short day to ease into things. Our already heavy packs were now topped up with two to three litres of water. The Perth transport corps kindly dropped us at the track head at Cape Naturaliste soon after 8.30am. A typical WA day: cloudless, a light SSW breeze to take the edge off the already warming conditions. For the next seven days we would travel southwards along a wild and rugged coast. Much like Nicholas Baudin’s French maritime expedition of 1800-1803 in the Naturalise and Geographe. This expedition named many of the coastal headlands that we would see on our walk: Cape Naturaliste, Cape Clairault, Cape Mentelle, Cape Freycinet and Hamelin Bay. Except that Baudin made landfall at Cape Leeuwin and then sailed north. Strangely, Baudin’s name rarely features on Australia’s charts except for a minute coral cay in Shark Bay, WA and a small rocky outcrop off the coast of Tasmania. There is a good reason for this. Baudin was a cautious mariner, much despised by his crew for standing the Naturaliste and Geographe well offshore, rarely landing, frustrating the scientists on board. 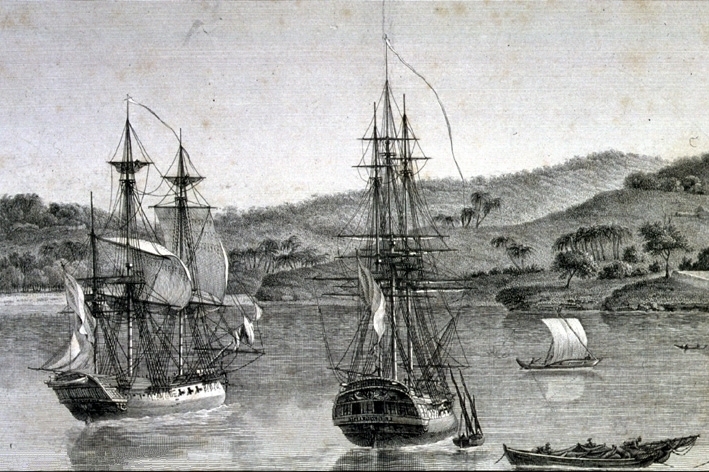 The British navigators mocked this lame approach to exploration as “exploring by telescope”. By contrast, the great British navigator Matthew Flinders produced superbly detailed charts of the same coastline by hugging the coast. Baudin died before reaching France and the reports and maps of the explorations were prepared by his tormentors Peron and de Freycinet. Baudin was excised from the reports and most of his place naming was changed. Cape Naturaliste, for example, was originally named by Baudin as Cap de Mecontents, Cape of Discontent. One sub-lieutenant Picquet had disobeyed Baudin’s instructions hence Cap de Mecontents. Peron later changed the name to Cape Naturaliste and went further, rewarding our wayward sub-lieutentant by naming a nearby promontory Point Picquet. Personally, after walking this treacherous, rocky coastline and experiencing the size of the surf, I’m with Nicholas B. All you boaties should stay well offshore. 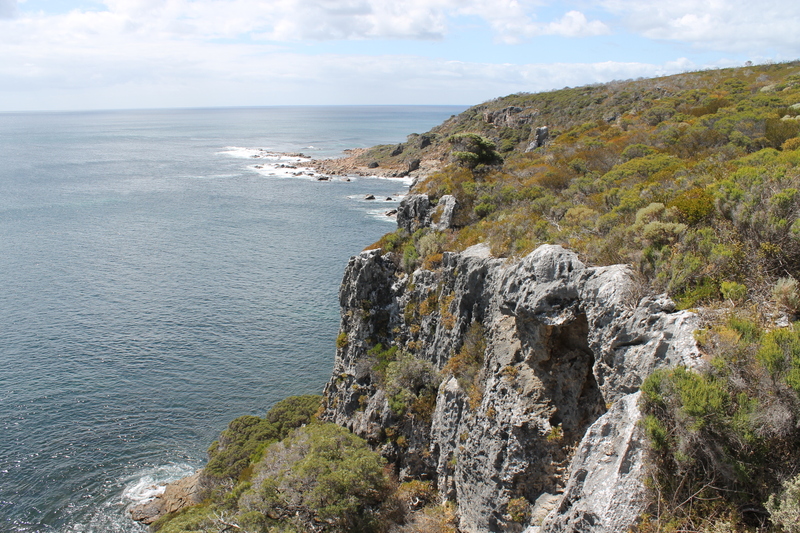 The Cape to Cape Track follows the Leeuwin-Naturaliste Ridge, a major geologic feature between the two capes which reaches a very subdued maximum of 200 metres in height. 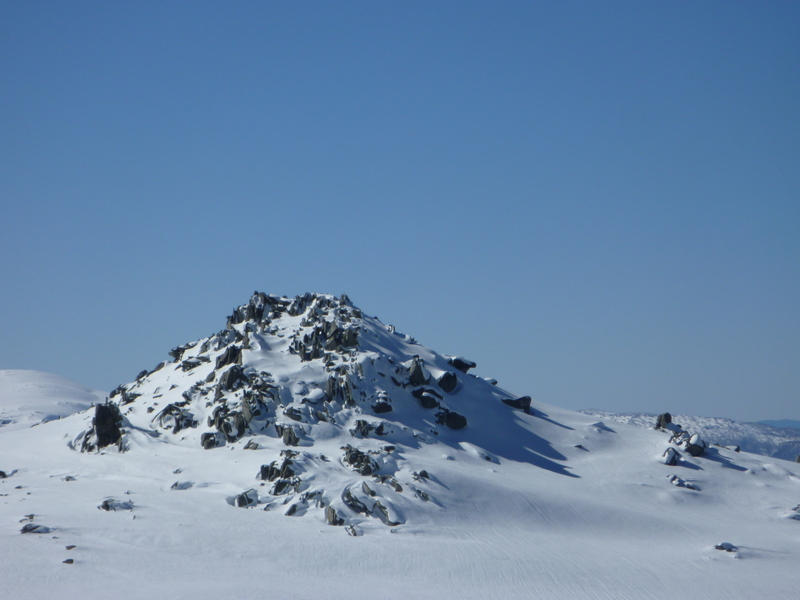 It is composed of two different rock types: a Precambrian granitic gneiss ( 1.5 billion to 655 million years old) which forms the basement of the ridge and is best seen outcropping at the many headlands we clambered over. These were the relic core rocks of an ancient mountain range that formed when India collided with Australia. Overlying the gneiss is the much younger Tamala Limestone which consolidated from windblown (aeolian) sand dune deposits formed in the last two million years. In places along the coast we found old rounded gneiss boulders cemented into the limestone to form conglomerate. 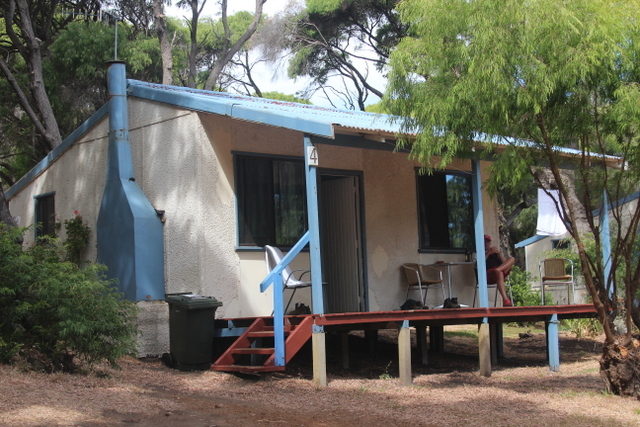 Our Yallingup accommodation was not under canvas but in the salubrious surroundings of a Yallingup Caravan Park cabin. Green and clean. Glamping. The Caves House Hotel built in 1904 for the local caves tourist trade, supplied our evening meal, the clincher being the $20.00 Seniors’ buffet in an art deco dining room. The choc slice was delicious. The like of which kept re-surfacing over the next several days at morning tea breaks. Bread rolls and tubs of butter had also been hoovered into doggy bags to reappear at lunchtimes. Tuesday: Yallingup to Moses Rock Campsite: 20 kms. Superb coastal scenery today but in the warm conditions our walk degenerated into an eight and a half hour marathon. Much of the day was slogging along sandy 4WD tracks and long beaches with nary a skerrick of shade. I now know why West Australians are called Sandgropers. In the soupy sand Samantha ‘Twinkletoes’ Rowe set a perky pace, hotly pursued by Sally and David. As for the Usain Plods, the trick was to walk in the compacted footsteps of those in front, or better still in the occasional 4WD tyre tracks. Trudging in the never ending sand. Eventually we descended to Quininup Beach where the creek, called a brook in WA, had backed up behind the beach. A very welcome cooling dip and a rock outcrop to provide some shade. I flopped in fully clothed. 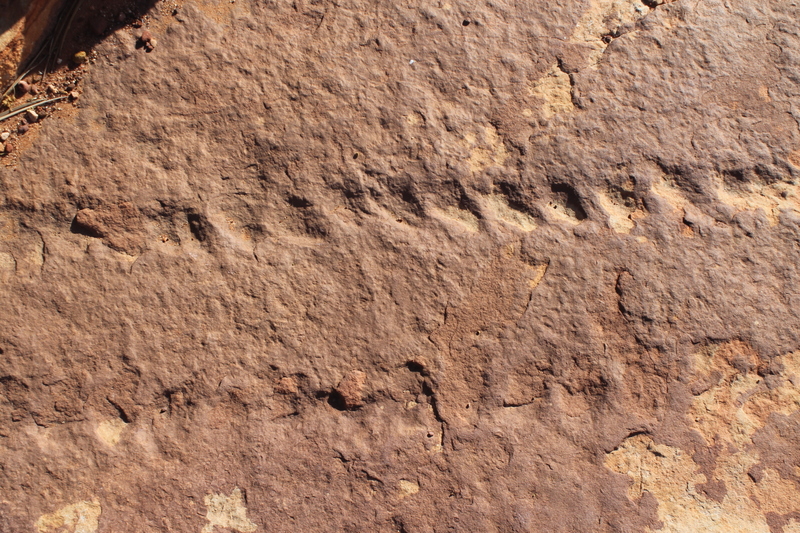 Quininup Beach area has several aboriginal heritage sites and the track skirts around these. Aboriginal occupation dates back to at least 40,000 years before the present. Local placenames are aboriginal in their derivation. 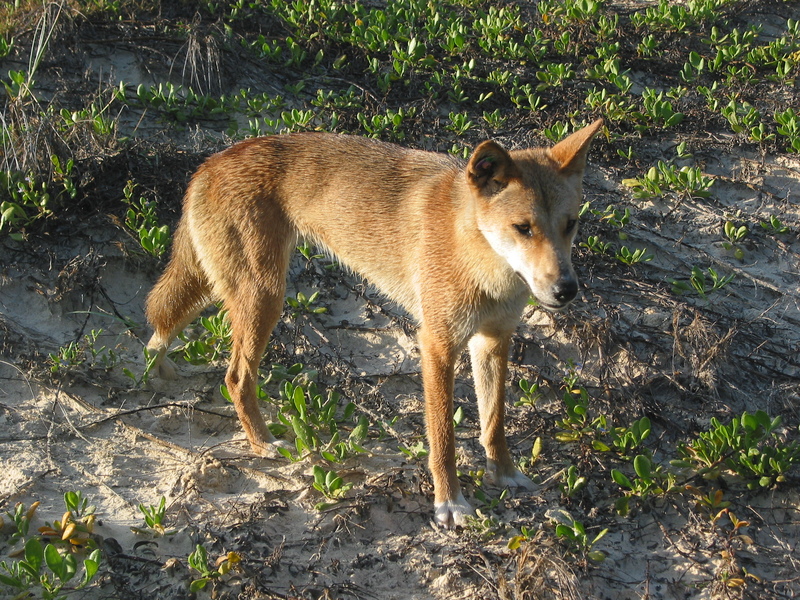 For example: Boranup is place of the dingo; Yallingup means place of love and Cowaramup refers to the place of the parrot or purple-crowned lorikeet. Just on 3.30pm we lobbed into Moses Rock Campsite, the large group site already annexed by an elderly German couple, so we settled into what spots we could find in the scrub. Moses Rock was a pretty grungy campsite cut into the wind-shorn scrub. But I shouldn’t complain. We had the luxury of picnic tables, a clean toilet, fresh water and ocean views only a minute’s walk from the campsite. 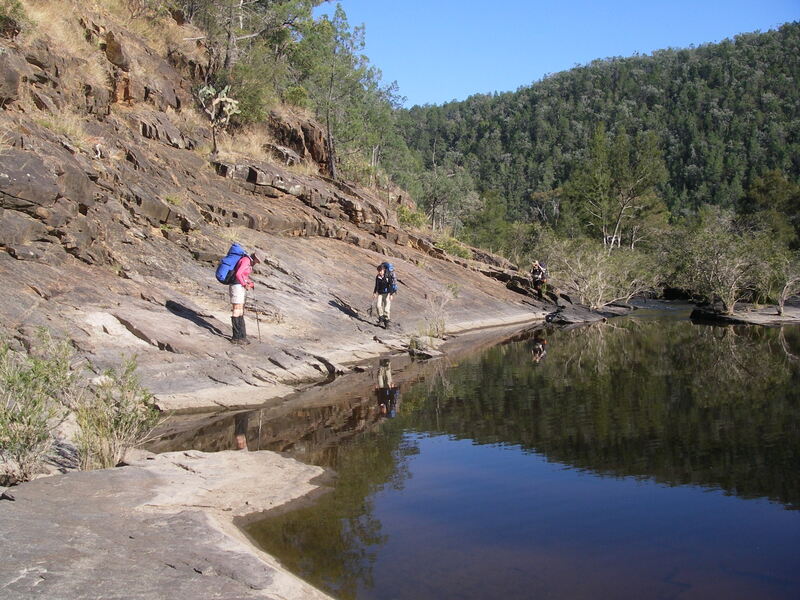 Wednesday: Moses Rock Campsite to Ellenbrook Campsite: 22 kms. 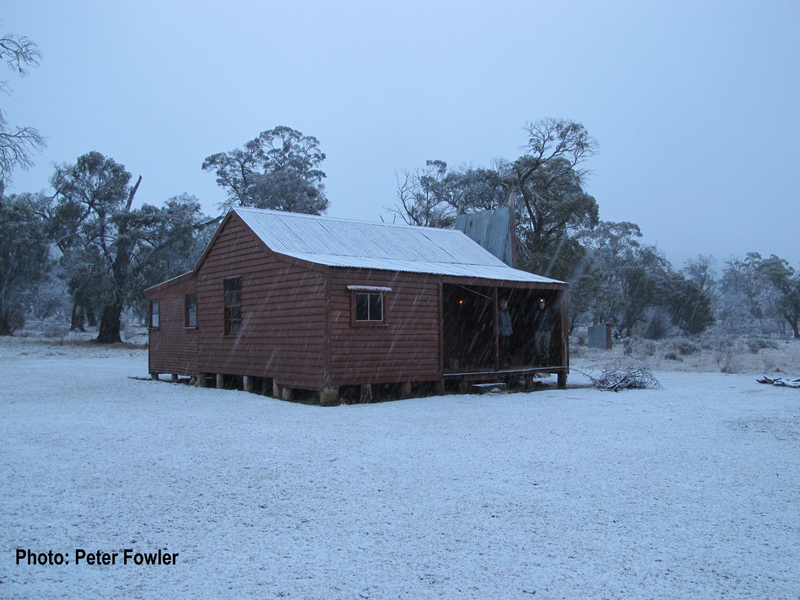 Built in 1857, Ellenbrook was the first homestead between the two capes. It was the home of Alfred and Ellen Bussell who farmed there for eight years before moving. Its shady, grassed surrounds looked just peachy for pitching our tents. But the National Trust, owners of Ellenbrook, were having none of this hiking riff-raff squatting on the property, so we were off another kilometre or so to our overnighter. Thursday: Ellenbrook Campsite to Prevelly Caravan Park: 13 kms. We rounded Cape Mantelle and ahead was the famous Margaret River and our overnight destination, Prevelly. Fortunately, the Margaret River estuary had closed, the river dammed behind a beach barrier. Just the place for Di and I to have another refreshing dip. The overnight accommodation was in two “Fibro Majestic” fishing cabins, 1960s style, but spacious and more than adequate for our purposes. 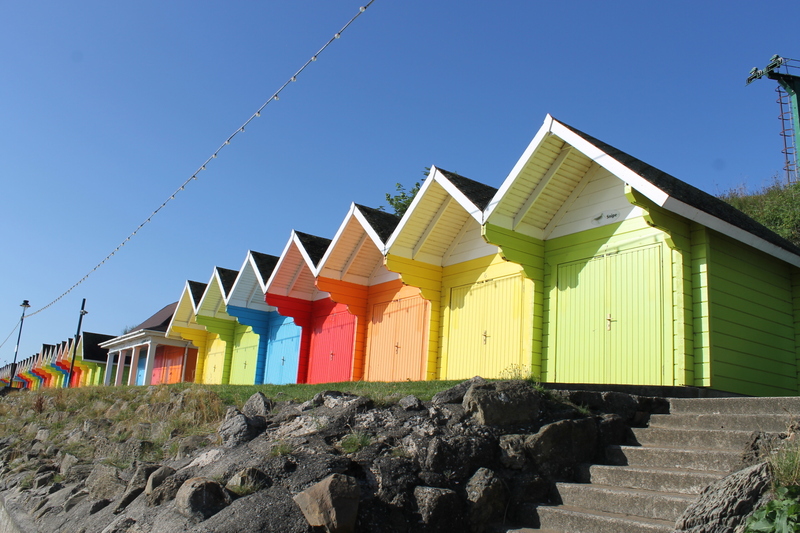 Our Fibro Majestic Beach Cabin. 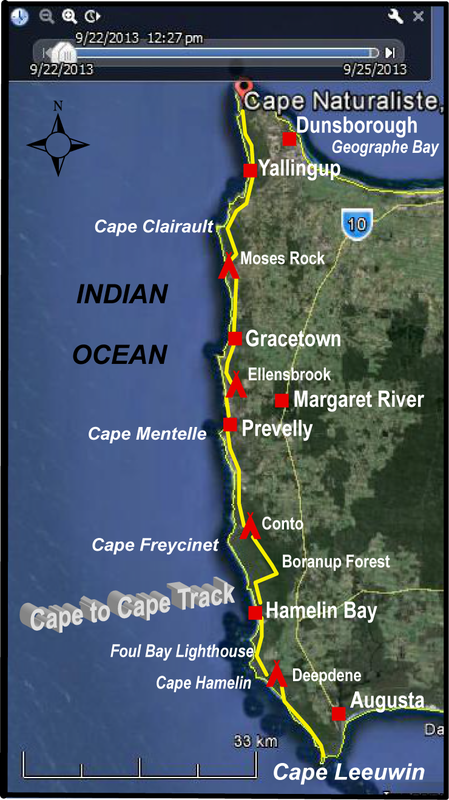 Friday: Prevelly Caravan Park to Conto Campground: 18.5 kms. Showers overnight with the prospect of a cool overcast day. Today’s walk took us to Boodjidup Brook which wends its way through the coastal dune system and out to the ocean. A great spot for a swim, but not today. Another long stretch of perversely steep and soft beach followed. Not a problem for the Phar Laps but a bit of a downer for the poor old Dobbins hobbling faithfully behind. Much of the rest of the day is spent above the beaches, scouting along low limestone cliffs, checking out limestone caves with a final three kilometres high above the ocean on a realigned and contoured track with fabulous views along the entire coastline. And so to Conto. A shady, well-appointed campground with an info centre, tables, water, clean toilets, a kitchen shelter, fireplaces and a total fire ban. Pity about the arrival of a fleet of Vikings who dropped anchor where we were camping. International uni students from Norway, Denmark and Sweden, apparently. They were studying in WA but had spent the day rampaging through the Margaret River vineyards. Unfortunately at the campground two Aussie toolies attached themselves to the group. This lot had no intention of obeying camp rules about music and grog. Entreaties to the two boofheads and their hangers-on didn’t cut it. Most of the female students were far more considerate and went to bed. But by 2.00am even our tenacious ‘friends’ had run out of steam or grog or playlists or all of the above and retired to get some shut-eye. 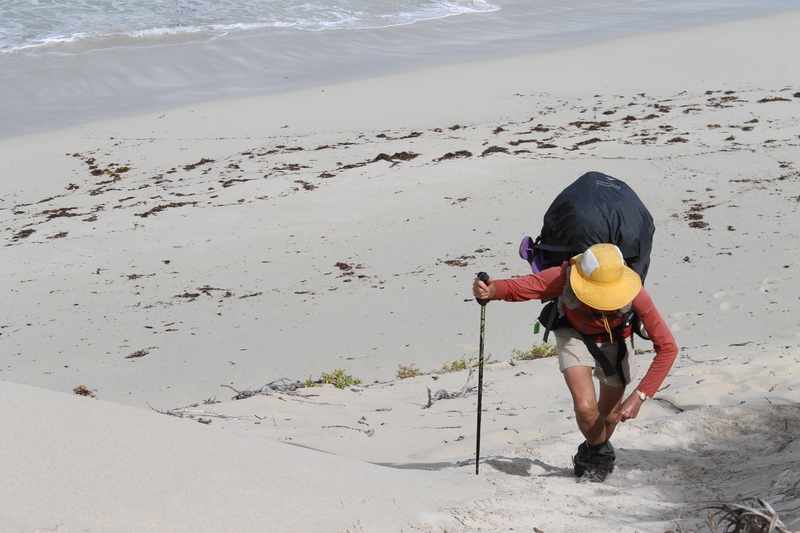 Saturday: Conto Campground to Hamelin Bay Caravan Park: 22.5 kms. A 5.00am wake-up and some packing-up noise seemed in order. Come 7.00am, a final jaunty toot toot from Brian’s old scout whistle and we were scuttling out of Conto and down the track towards Hamelin Bay. From Conto the track swings inland to cut through the Boranup Karri Forest, a green and shady contrast to much of the rest of the Cape to Cape. The vegetation is a mixed woodland of marri, jarrah, karri, peppermint, wattles, banksias and Xanthhorrea. Boranup is re-growth forest having been cut over for nearly 115 years. The dominant tree is the karri (Eucalyptus diversicolor). Its light grey bark peels in autumn exposing the new bark, which can be yellow, brown or orange. In the 1870s karri became a popular timber, favoured for bridges, wharf scantlings and mine poppet heads. Much of it was hauled out of Hamelin Bay, our overnight stop. Hamelin Bay was named after Captain Hamelin, commander of the corvette The Naturaliste. It was a thriving timber port in the late 1800s with a long timber jetty built in 1882. However Hamelin Bay is not a sheltered inlet and like much of the Leeuwin-Naturaliste coast it is littered with shipwrecks: Agincourt (1882), Chaudiere (1883), Katinka (1900), Norwester (1900), Lovspring (1900) and Toba (1930). Today little is left of the jetty, a caravan park has been built where the timber yards stood and Hamelin Bay is now a very popular swimming, fishing and diving spot. At beer o’clock, just before sunset, flocks of caravanners, lagers in hand, head for the foreshore. Happy hour you ask? Dolphin feeding perhaps? or maybe some real excitement with some whale watching? None of the above. The entertainment is in watching the fishermen and divers returning in their tinnies and their oft ineffectual attempts to manoeuvre said tinnies onto their trailers. 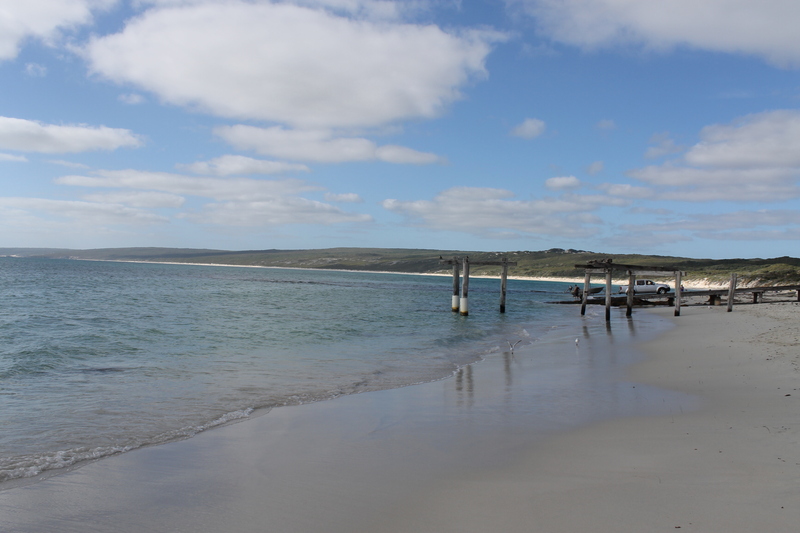 Sunday: Hamelin Bay to Deepdene Campsite: 10 kms. A late 9 o’oclock departure. We made our way to the Foul Bay Lighthouse. 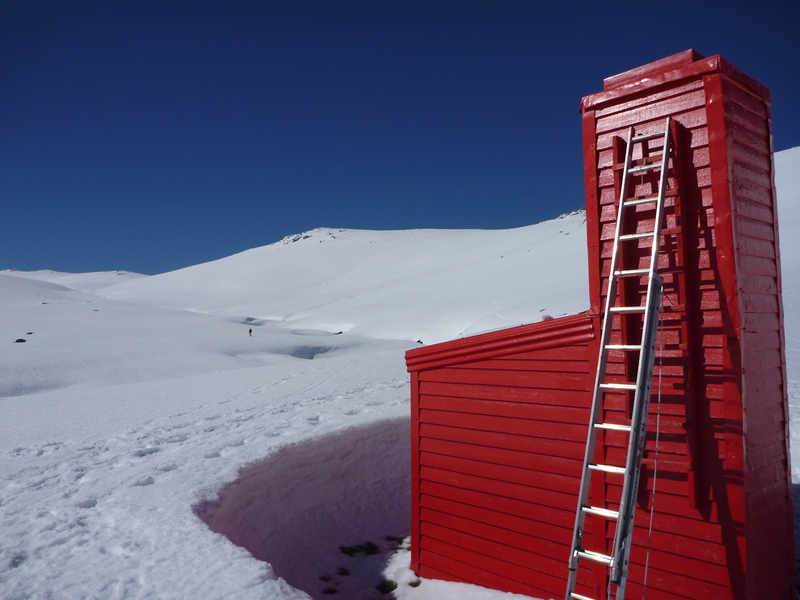 A Lilliputian construction at only 3.9 metres, it is still fully operational. And given the nature of the rocky coastline around Hamelin Bay it isn’t hard to understand why. The original lighthouse was built in 1937 on the nearby Hamelin Island, the remains of which are still there. It was moved to its present position in 1967 and stands 80 metres above the sea. From the lighthouse we dropped back to the shoreline, on to a limestone platform leading to our proposed lunch spot on the granites of Cape Hamelin. This platform was a pretty wild place with Indian Ocean swells crashing up and over the limestone. 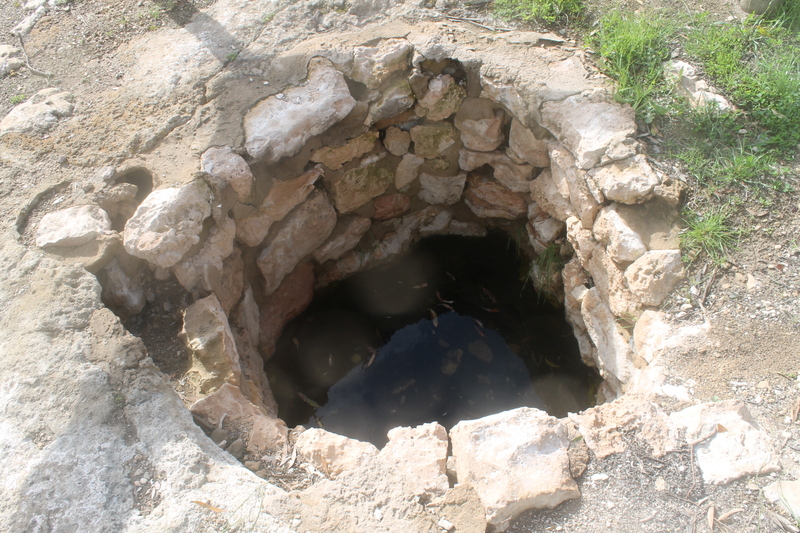 The platform was a microcosm of karst topography. 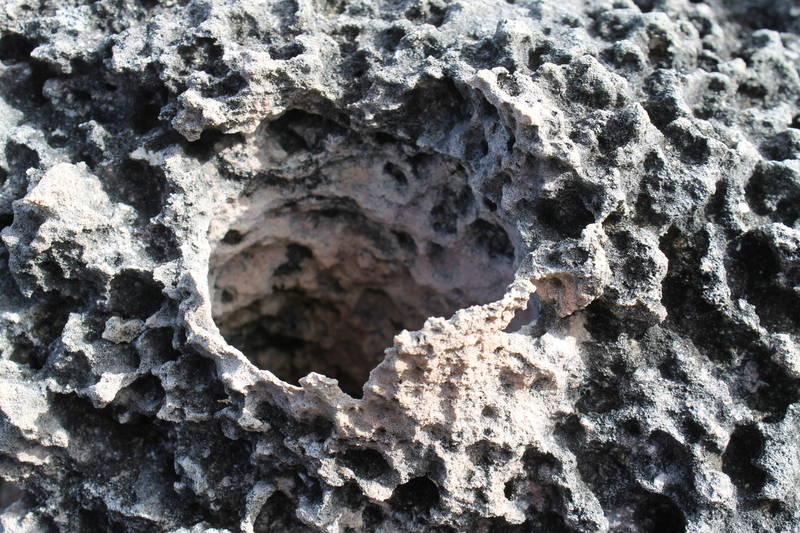 Deep solution hollows made for active blow holes as the waves rushed in and out; the whole surface was carved into large blocks delimited by deep crevasses, known as clints and grikes. At the micro level the exposed limestone surface wasn’t smooth but was pitted, grooved and fluted giving a very rough and intricately detailed surface called rillenkarren. Deepdene campsite is a smallish site cut into coastal scrub and dunes about 500 metres inland. Even with our late start we had heaps of time for an arvo of washing clothes and bodies; eating, always a favourite activity on throughwalks; and walks along the beach from which we could see the Cape Leeuwin Lighthouse, our final destination. Two young German hikers, Alexander and Toby, wandered in late in the afternoon and occupied the other tentsite which we had left vacant for them. Monday: Deepdene Campsite to Cape Leeuwin: 17 kms. Our final day of walking. Quite overcast with occasional showers, fortunately most of them scudding along just offshore. Another long beach haul, about eight kilometres ending in a scramble over a rocky cliffline. The final section of track wends its way through low scrub well above the Augusta Cliffs, now with clear views across to Cape Leeuwin lighthouse. Cape Leeuwin is the extreme SW point of Australia and was named by Matthew Flinders in 1801, taking its name from the adjoining land which had been called Leeuwin’s land by the Dutch navigators when the Leeuwin (The Lioness) rounded this cape in March 1622. 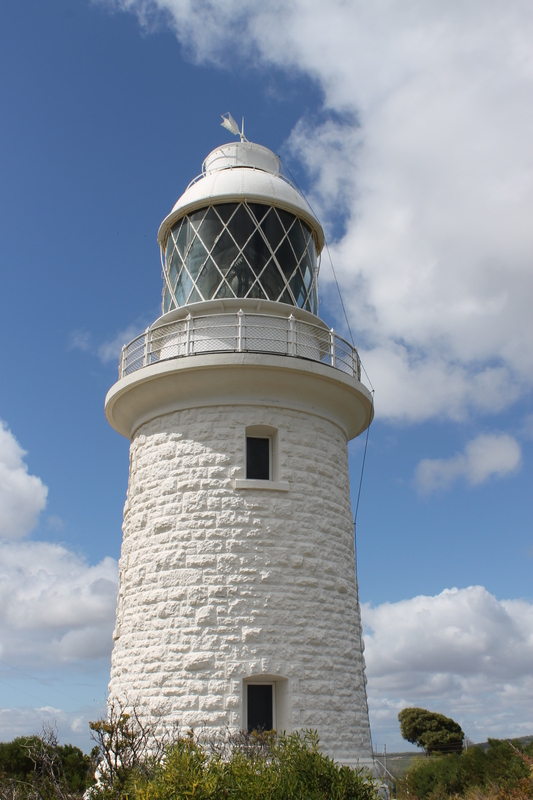 The Cape Leeuwin Lighthouse dates from 1896 and guards one of the busiest sea lanes on the Australian coast. It is here too that the Indian Ocean and Great Southern Ocean meet and where we finally made our landfall at the southern track head of the Cape to Cape after eight days on the hoof. After a major tuck-in at the well-stocked kiosk we took our leave by taxi and car and headed for our well earned R&R at the nearest town, Augusta. Aust. Geographic map: Cape to Cape 1:200,000. Aust. Geographic: WA’s Cape of Contrast. Issue 98. Dept. 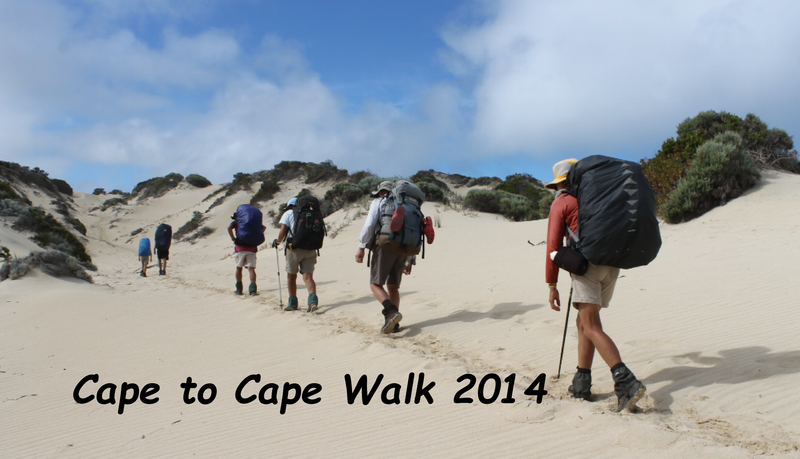 Environment and Conservation WA maps: Walk the Cape to Cape 1: 50,000. Dept. Environment and Conservation WA: Discovering The Leeuwin-Naturaliste NP. and Geology and Landforms of the SW.
Cape to Cape Publishing: The Cape to Cape Guidebook. 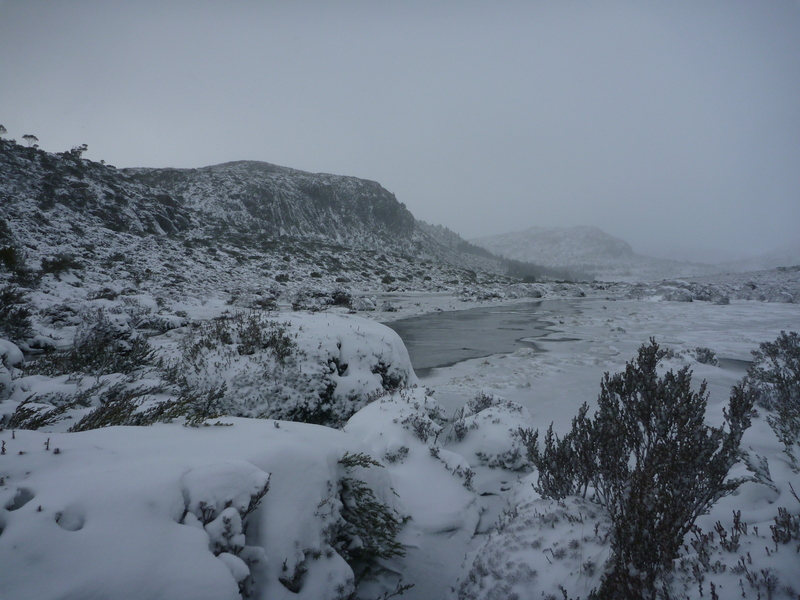 Previous PostArtists CascadesNext PostPhoto Gallery: Cape to Cape Track. WA. by Lyn Hewitt.